Click here for a better link with a more detailed Olympic Judo schedule. Click here for live information including Contest Sheets. Each day will be broken up into two sessions. The first session will feature preliminary matches in both weight classes, all the way up through the quarterfinals. Competition will take place on two mats, and NBCOlympics.com will have dedicated live streams for each mat. The final block will feature repechage matches, semifinals, Bronze Medal Matches and Gold Medal Matches. Olympic Judo starts today, August 6, at 9 am. Click here for the schedule and live streaming. 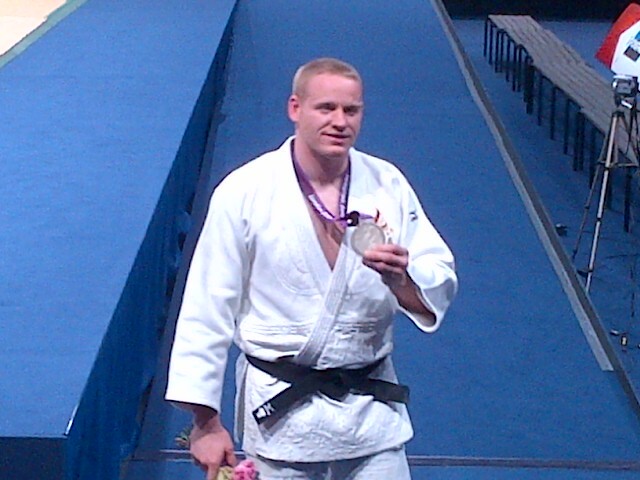 From USA Judo, September 1, 2012 – Team USA’s Myles Porter will bring home the silver medal after a hard-fought day at the Paralympic Games in London. Porter, 100 kg (U.S. Olympic Training Center, Colorado Springs, CO) began hisclimb defeating Japan’s Aramitsu Kitazono. Myles had a bye the first round. Kitazono had just defeated Cuba’s Juan Cortada Burmudez. Myles defeated Japan in just four seconds with a foot sweep. In his next match, Porter demonstrated superior strength and stamina besting Russian opponent, Vladimir Fedin, who clearly tired through this match. Early on, the Russian picked up a yuko on a labored drop seoi nage. Porter, though, maintained extraordinary pressure on Fedin, firing foot sweeps and sacrifice throws over and over, peppered with armbar attempts until, finally, the Russian was penalized. With about a minute left, Porter picked up a wazari on penalties against Fedin that would carry him to victory. That put Porter in the finals against Gwang-Geun Choi of South Korea. There,Myles and his coach, Eddie Liddie, said Porter made a fleeting mistake. Team USA is … ON … A … ROLL IN LONDON!!! Team USA’s Myles Porter, 100 kg, ADVANCES TO THE FINAL GOLD MEDAL MATCH at the 2012 Paralympic Games in London!!! Porter just defeated Russian Vladimir Fedin to face-off against Gwang-Geun Choi of South Korea. That match is scheduled for 7:10 p.m. London time (2:10 p.m. EST).Porter’s teammate, Dartanyon Crockett, 90 kg, just advanced to the BRONZE match, also scheduled to begin any minute now. Follow live brackets at IPPON.ORG. Dartanyon Crockett, 90 kg (U.S. Olympic Training Center, Colorado Springs, CO) just defeated Roberto Santos of Brazil to fight for BRONZE! What Dartanyon Crockett did for his friend was to physically carry him wherever he needed to go. ESPN captured the story in a documentary and, led by producer Lisa Fenn, is in London to journal more of Crockett’s amazing journey. Crockett and Sutton remain great friends but have each gone their own way. 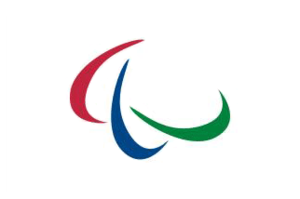 Nearly a week ago Crockett stepped off a plane in London to represent his country at the 2012 Paralympic Games. On behalf of the Board of Directors of the Michigan Judo Development Association, Inc., I am pleased to report the success of this fund raising effort. The purpose of the fund was to assist Robert Fukuda’s wife and mother to attend the Olympics in London to watch him on the mat, refereeing. Thanks to the help of over 50 contributors, in just one month, we raised $6185.00, well over our goal of $3500.00. Contributors are listed on the attached list. For MJDA, this is one of the most successful funding campaigns ever. Support came from across the American judo community, from members of all three national organizations. Many donations were accompanied by very touching words of affection and respect for Robert’s dedication to judo and his embodiment of the ideals of our sport. A letter of thanks from Robert, with photos from London, is attached. Special thanks to Robert’s colleagues in the judo referee community, who gave generously, in addition to their ongoing contribution of their time to refereeing and their continual encouragement and support for Robert. Thanks to the Executive Committees of the USJF and Konan Judo Association for permitting announcement of the Fund on their websites. Without that publicity we would not have succeeded. Although the fund is now officially closed, donations have continued, and will be forwarded to Robert.